Every summer at FluteWild! 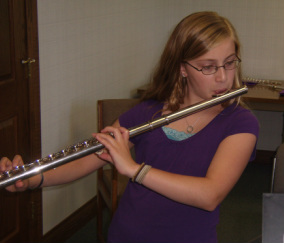 Camp we organize different activities and discuss musical topics related to the flute. We want students to refer to these topics for future use, so we have uploaded copies of our handouts. The handouts are listed by year. These links are all .pdf files, so if you don't have Adobe Acrobat Reader on your computer, click here to download it for free. Learn music faster and play whatever you see. How to find music to play - and do it legally! Tips for always coming in on time. What is articulation and how is it used differently in Irish-style playing? An overview of "How to Count Anything" and a description of standard Brazilian rhythms. Exercises to improve your efficiency in playing the flute. Competitions and festivals that are open to the eager flutist. A FluteWild! camper plays the bass flute. ​The Flute: Not Just for Band & Orchestra! A brief history of the flute in jazz, rock, and pop culture. Techniques for controlling stage fright. Tongue tired of always single-tonguing? Rock Out with the Dave Matthews Band! Learn how to improvise on your flute to the popular tune Say Goodbye by the Dave Matthews Band. A FluteWild! camper playing the alto flute. A checklist for playing in tune on your flute. 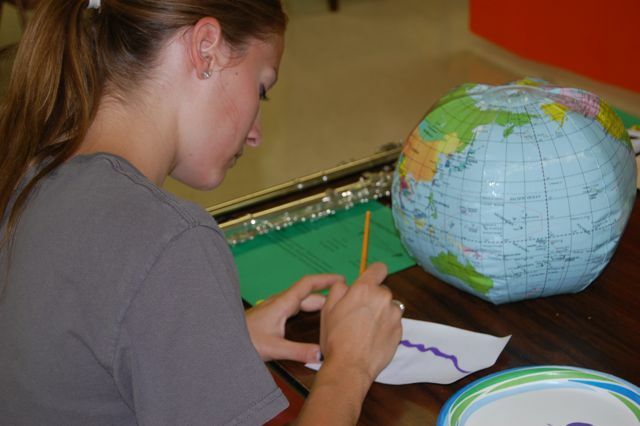 Make your own flute out of a cardboard tube! Use these tricks to learn your key signatures. How to play with staccato, legato, accents and slurs. Ways to increase your finger speed while playing and using alternate fingerings. Hand position, more alternate fingerings and trills. This handout briefly explains different options and features to consider when purchasing a new flute. It's all about rhythm: note values, time signatures, etc.